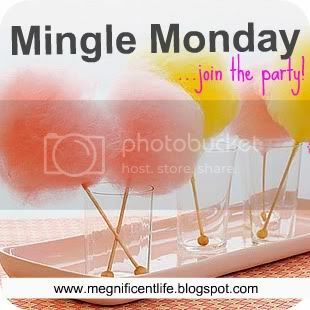 Welcome to Mingle Monday, my fabulous friends! This hot little link-up party is a great way to start your week and get some awesome blog exposure! Did I mention there are TONS of amazing blogs to discover and follow?! It sure feels like Monday snuck up on us fast, doesn't it? Well, I sure had a lovely weekend with my parents in KC! My little weekend recap will be coming your way this afternoon! More than anything though, I need to take a moment to sincerely thank each and every one of you who choose to get the word out about Mingle Monday. Every single mention warms my heart and has helped our little Mingle Monday link-up continue to grow! ...in advance for spreading the word! Blog post, Twitter, smoke signals... you name it, I love it! Will you gals do me a favor? Please go stop by and say hi to my fantastic blog friends who sponsor Life of Meg each month. They are all over in the right sidebar and their blog are incredibly creative and fun to follow! Don't miss out! I also have SEVERAL monthly sponsorship spots now available! Check it out, I've chosen to purposefully keep them at a lower price compared to blogs the same size. 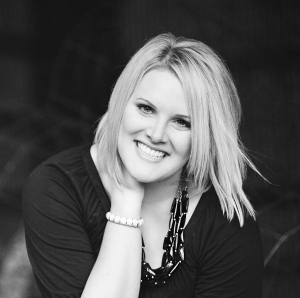 My goal is to help YOU gain more followers at a budget-friendly cost! :) A win-win for all, try it out! May your week be filled with changing leaves and candy corn... yum!! I'm excited about making fudgey toffee bars! Not ideal for summer but they're perfect for fall. I think winter is much more my baking season than fall, for some reason. In a few months I'll be baking Christmas cookies by the dozen, but I don't foresee baking that much before then. I made a pumpkin spice bundt cake on Friday, and it was delicious! I definitely have a goal to bake one fall dessert a week :) So far so good! Thanks for hosting Mingle Monday Megan! Hope you have a great week! I'll let you know how that adventure goes! HAPPY Monday! newest follower and excited for this linkup! I love to have cranberry pumpkin muffins specially because I have a low carb recipe that is delicious! I still need to stock up on zuchinni bread to hold me over for the winter. Im up for anything with pumpkin! I'm just excited for the weather to cool down so I can bake anything! When it's 100+ degrees out, this lady is not turning the oven on! I'll be making brownies and chocolate chip cookies, for sure! My neighbor back home used to make this nut roll that was to die for!! I need to find that recipe!! I am starving myself from desert, holiday gluttony is right around the corner. I really don't bake much myself but I would LOVE for someone else to bake me lots of yummy things! Nothing really - I don't care about desserts, or anything sweet ……..